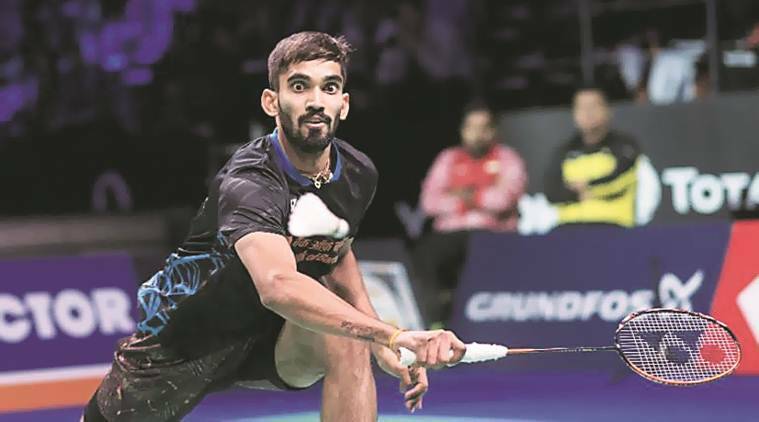 Since the beginning of 2018, not only has Kidambi Srikanth failed to enter the winner's circle, but he has gone beyond the last-8 stage on only three occasions. The year 2018 brought Kidambi Srikanth back down to earth. After four Super Series crowns in 2017, which briefly took him to the summit of the world rankings, the 26-year-old has been stopped in the quarterfinals more often than he would care to remember. Clearly, the return of Kento Momota from his suspension, Viktor Axelsen finding something resembling his best form after injury, and the emergence of Shi Yuqi as the next big product from the Chinese shuttle factory seem to have left the Indian behind. So while those three are among the top four in the charts, Srikanth currently occupies the No.7 spot. In fact, during his barren spell, which began at the 2017 Dubai World Superseries Finals, he has lost to Momota six times, including in three successive tournaments. “I’m not being able to win against a few players, or can’t seem to maintain my level for a whole week,” Srikanth said before starting his India Open campaign, hoping to go all the way as he did in 2015. He is the highest-ranked Indian in the world and knows there will be a target on his back with a large number of local players in the draw. “There are a lot of good Indians coming up and I expect to play a lot of them,” Srikanth said. Even with top seed Shi Yuqi pulling out a couple of days before the tournament, the Indian star can’t afford to take things lightly at the start of his campaign. He faces Hong Kong’s Wong Wing Ki Vincent, who beat Srikanth at the 2018 Asian Games. Working with a sports psychologist has worked well for Sameer Verma as he has risen to No. 14 in the world rankings. “Earlier, when I used to be in the lead in big matches, my mind would go into overdrive and I would think what would happen if I won the match. But now I stay more in control and don’t have a mental block against higher-ranked players,” the 24-year-old said. “But for the last two-three years, I have been working with Sanskriti Chhabra, a friend who is a sports psychologist and it has improved my outlook,” he said. At the recent All England Championship, Verma was close to registering a big upset when he took the first game against Axelsen and went toe to toe in the second. But when push came to shove, the Dane pulled through. “It was a close match and I was playing well. But in the crunch situation, Axelsen raised his game,” Verma added.